So, I was in the oh so fantastic wine aisle in Trader Joe’s the other day (I have to stock up for after the baby is born:), when I over heard the two girls next to me discussing what they were supposed to get their new husbands for their one year wedding anniversaries. It is so hard for me not to jump in every time I hear someone asking a question about anything wedding related and answer them! So, instead, I decided to blog about it for the many that want to know what the customary gift is to give your spouse on each anniversary! I will be married for seven years in October and I have to admit that I was pretty good about staying traditional in the beginning, I have fallen off the track a bit. It was nice to be reminded that it is still important to young couples to follow our wonderful traditions weather you believe in their meanings or not. I like to get creative with my gifts instead of just getting “cotton” for example, I like to think outside the box! We all know that men are the hardest people to shop for especially when it comes to sentimental gifts. So ladies, this is mostly to help you in that department but I will help the guys out a little too! I hope this gives you a head start on ideas for when you and your fiance join your lives together! 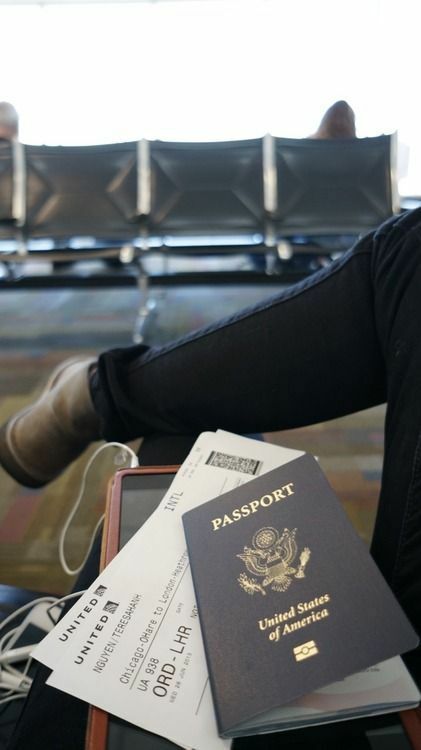 Plane tickets! A trip out of the country or a weekend getaway is the perfect way to celebrate your 1st anniversary. If your schedule does not allow, try getting tickets to your favorite show or concert. New bedding and sheets! 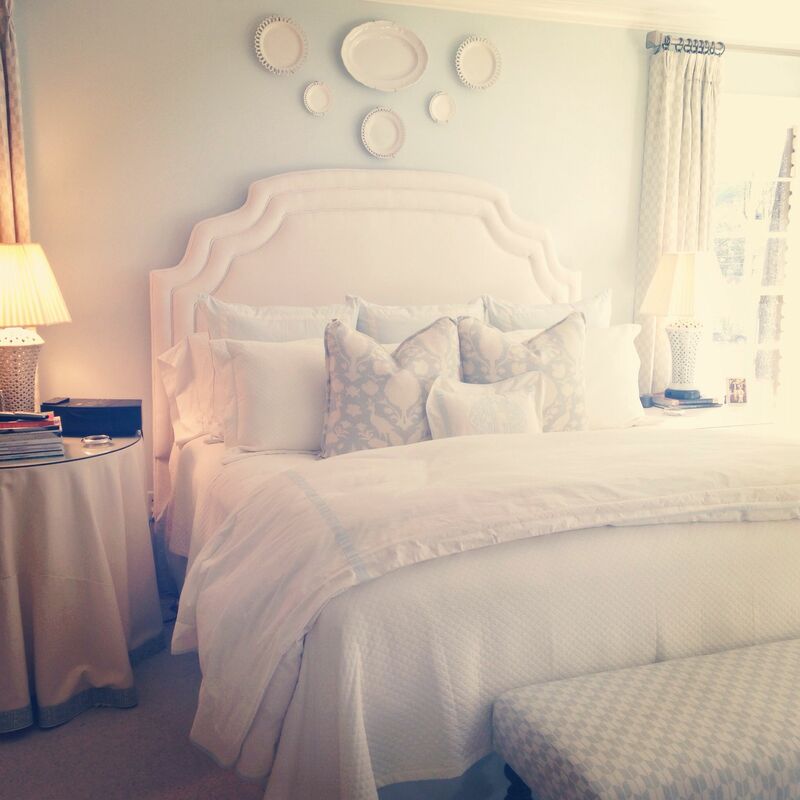 Refresh your bedroom by adding new sheets and bedding…after all, this is where all the romance happens! I’m sure he won’t be disappointed. 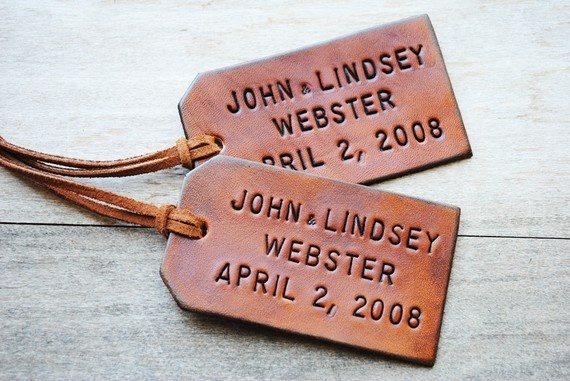 Custom leather luggage tags for him and who doesn’t love a new purse or bag! This vintage purse is a perfect gift for your wife! I skipped right over to flowers and I am totally ignoring fruit…sorry! 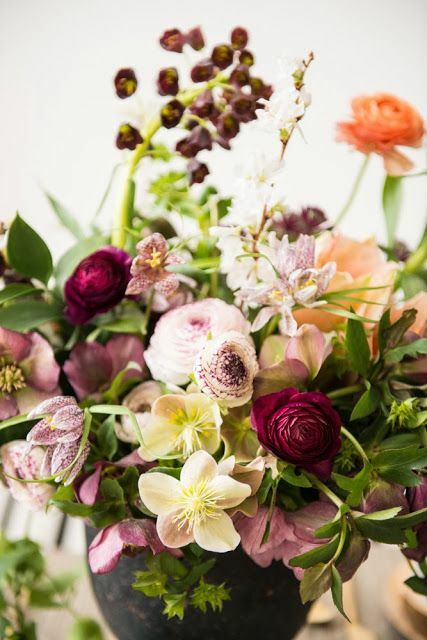 Even if you say you don’t like flowers, let’s face it…EVERY girl loves getting flowers! But guys, skip the traditional red roses and go for something whimsical and beautiful that will surprise her and leave her speechless! 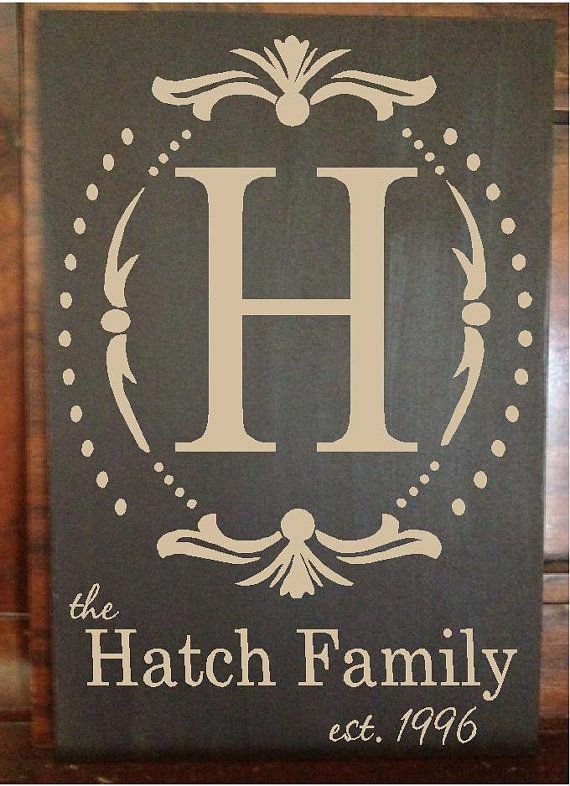 Custom wood signs are a great idea for your 5th Anniversary; it has special meaning and it is a great piece to put in the home. Other Ideas could be maybe a new bed or table that you can enjoy as a family together! The first 5 years of a marriage are so important and memorable! I hope these ideas help you to make these memories extra special! 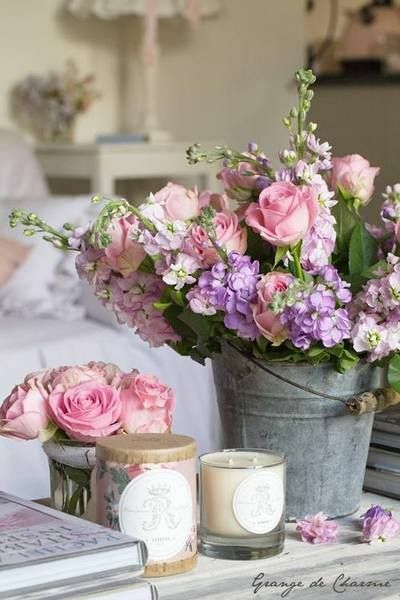 This entry was posted in Get Inspired, Wedding Advice and tagged anniversary gifts, Glendalough Manor, traditional wedding anniversary gifts, wedding anniversary gifts. Bookmark the permalink. ←Good Times And Great Company In 2013!! !